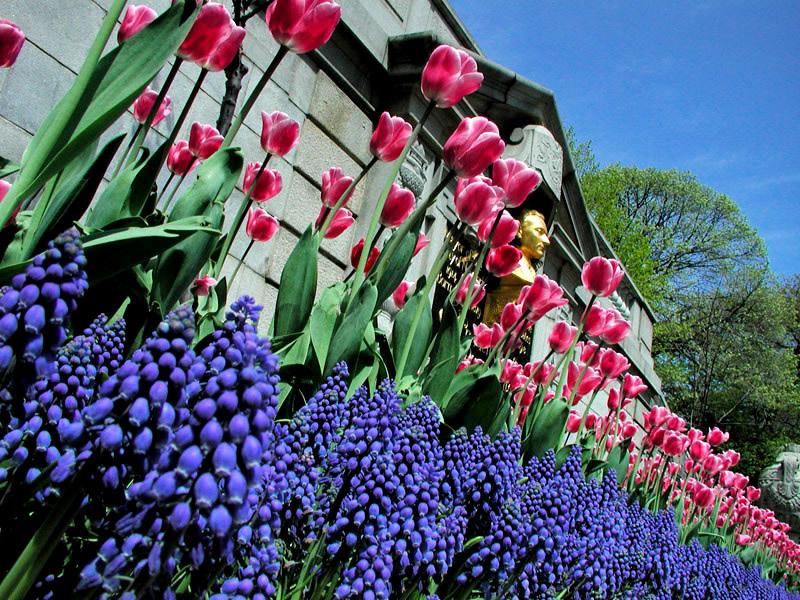 Miami In Focus Photo Gallery of the Engineers' Gate Flowerbed E90 in Central Park. 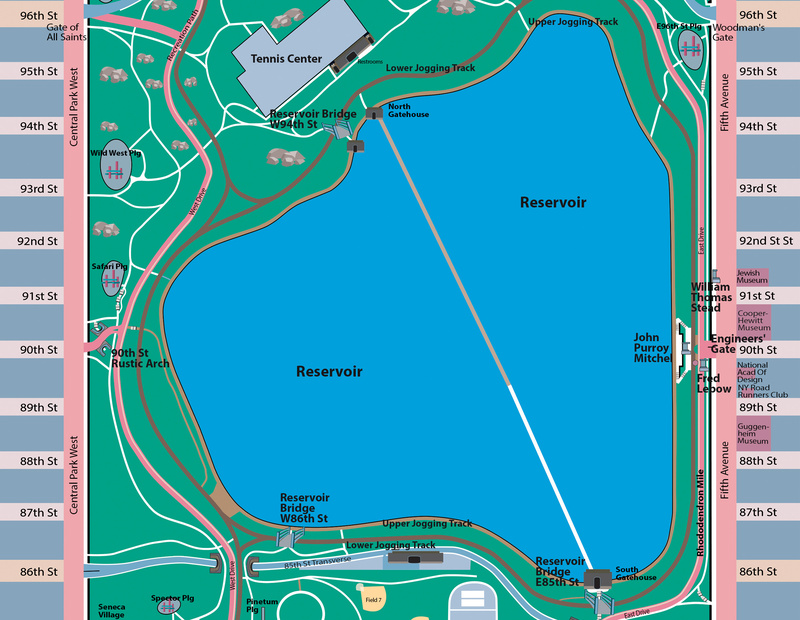 Located at Fifth Avenue and 90th Street, this entrance to the Upper Reservoir Jogging Track is the location of a very elegant flowerbed featuring Tulips in the spring and Chrysanthemums in the fall. 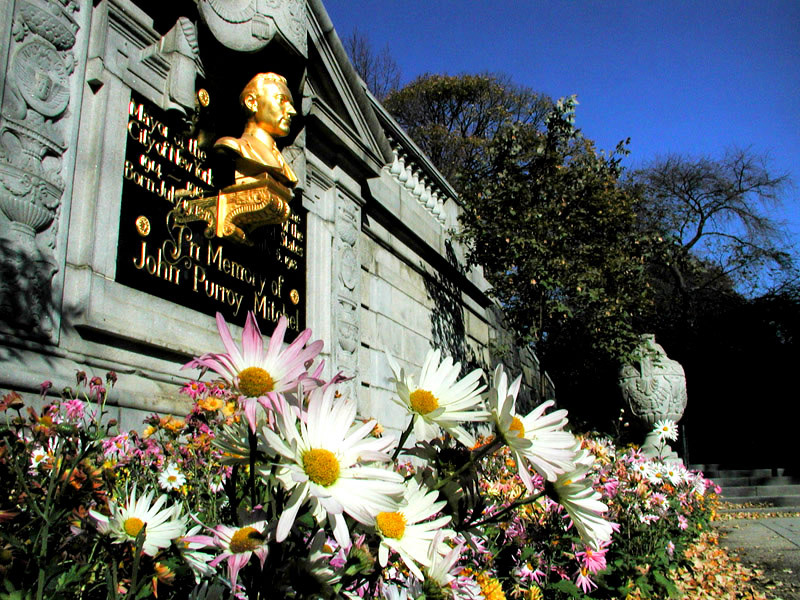 It is also the gateway to the Reservoir Jogging Track with angled stairs located on either side of the gilded monument to John Purroy Mitchel. The overlook above the memorial is the place where many runners do warm ups before and stretches after their run.